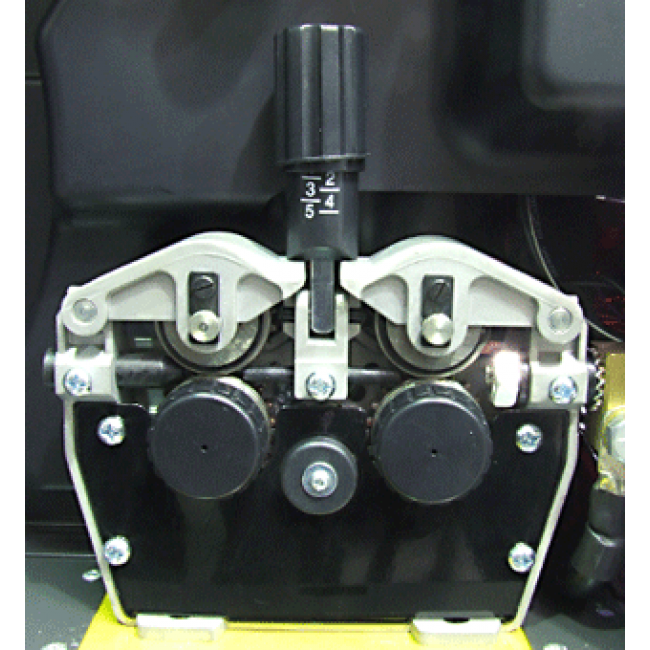 Cutting-edge three-phase 400v industrial machine with multiple functions. 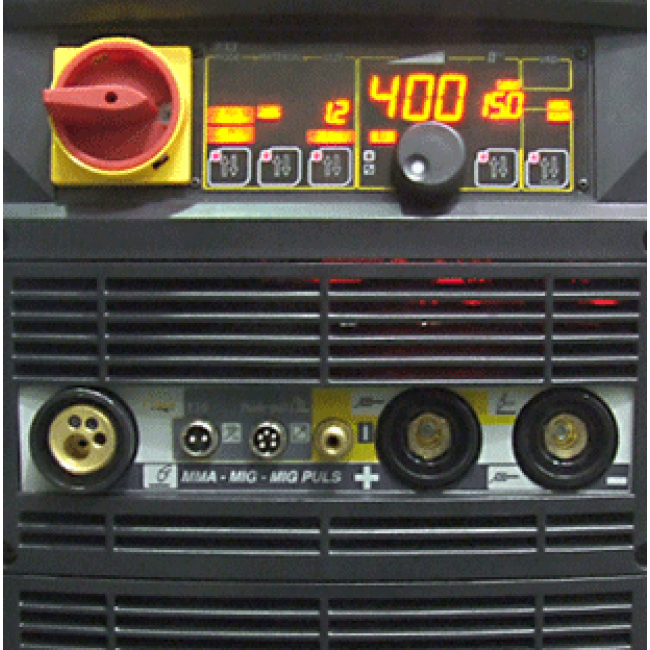 The MULTI-400K is a complete and powerful multifunction DC inverter welding machine - 3 phase 400V. 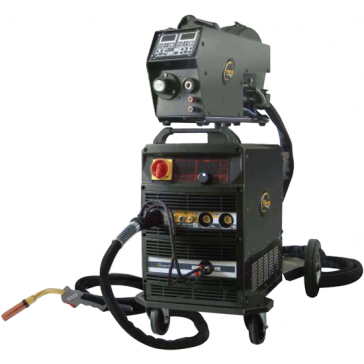 An industrial machine with multiple welding functions including Pulse MIG, Double Pulse MIG, High Speed MIG, DC TIG, and DC MMA (Stick). 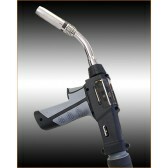 Featuring Water-cooling, user friendly programs with synergic function are provided for all the welding processes. The Multi-400K encompasses all facets of the new PLUS CONCEPT technology development. PLUS CONCEPT is an innovative solution. 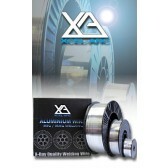 Now high efficiency welding is possible with Gas Metal Arc Welding, Pulse Arc and standard applications. 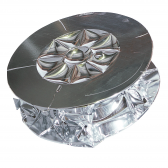 The forced dynamism of the PLUS CONCEPT achieves an ultra fast transfer rate into the weld pool giving surprising results. 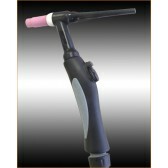 It increases the welding speed up to 45% and at the same time it increases the penetration of the weld. Higher speed, better penetration and less spatter means less energy used during the deposit and reduced distortion during welding. Using the Double Pulse function provides the ability to produce welds with a TIG like finish with excellent control over the weld pool. 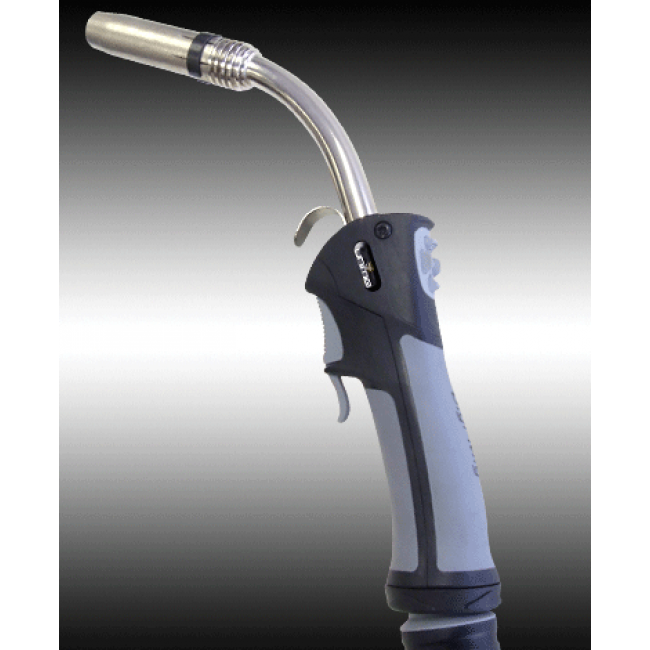 The Multi-400K is a professional industrial machine that is supplied complete with a trolley with gas bottle support, and also with Push Pull Torch interface connection. Ideal for boat building, heavy fabrication and general engineering, sheet metal workshops, stainless steel fabricators, transport engineering, panel beaters,repair and maintenance workshops.